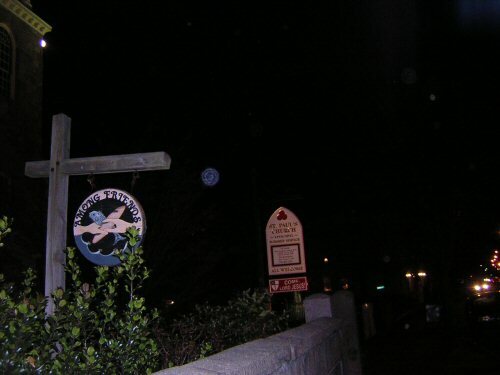 On this page of this site "Revelation13.net: Astrology, Prophecies of the Future", there are some photos I took at Newburyport, Massachusetts, in 2003. 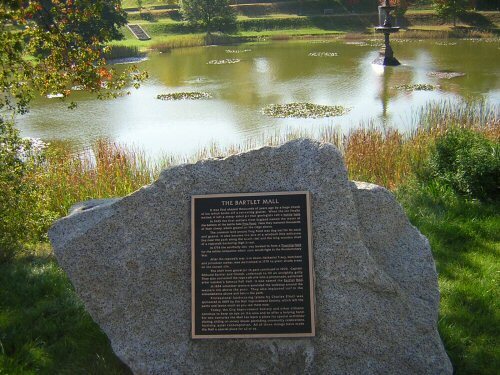 This page continues the places to visit discussion of this site, where mystical, New Age, religious, and other places of interest are discussed and there are photos. "A Pickle for the Knowing Ones, or Plain Truths in a Homespun Dress" by the Late Lord Timothy Dexter, assisted by Johnathan Plummer "Physician, preacher, and poet laureate to his excellency Timothy Dexter, Earl of Chester, and Knight of the two opened-mouth lions". 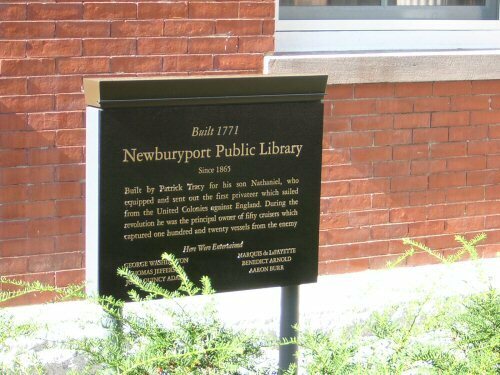 His pamphlet is very hard to read, because it is not only English from that time, but he was a poor speller and writer, and also he put all the punctuation at the end of the pamphlet. But it is said that there are some real words of wisdom in it. 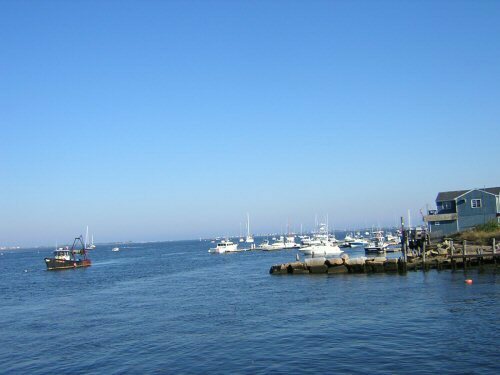 He had come to Newburyport penniless, and married a woman with money, and then had made a great fortune through shrewd investments, that he credited to his gift for prophecy. He was definitely an investing genius. 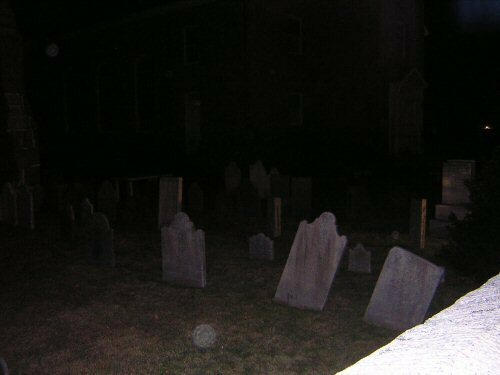 In his pamphlet he suggested the idea of a United Nations, not to occur for 150 years later. At his house on High Street in Newburyport around 1800 A.D., he had statues of great men in history, (which included Napoleon, John Hancock, Louis the 16th King of France, Presidents George Washington, John Adams, and Thomas Jefferson, and an image of His Lordness Timothy himself labeled "I am the first in the east, the first in the west, and the greatest philospher in the western world"). He intended for this house to be a great museum, and the 8th wonder of the world. 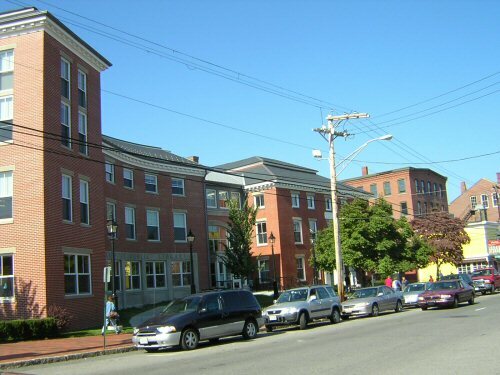 Below is shown the Tracy House, now part of the Newburyport Library, to the right of the recently built library building. Lord Timothy bought the Tracy House in 1792. 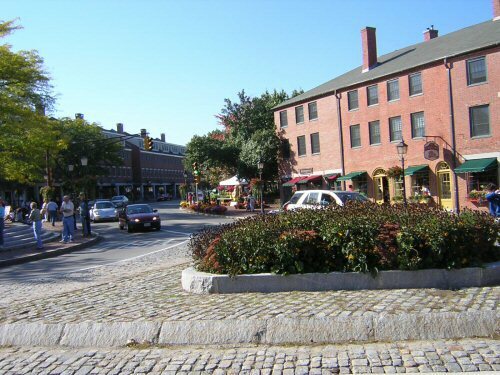 Below are other photos of Newburyport: the Frog Pond, Market Square, and Newburyport Harbor where in the distance you can see Plum Island, where a dead giant squid washed ashore in 1980. 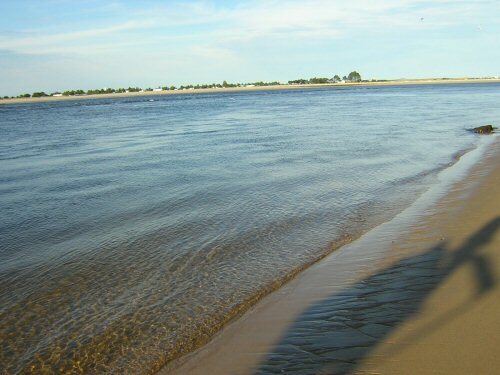 Below is a photo from the North end of Plum Island in Newburyport, looking across the Merrimac River to Salisbury. 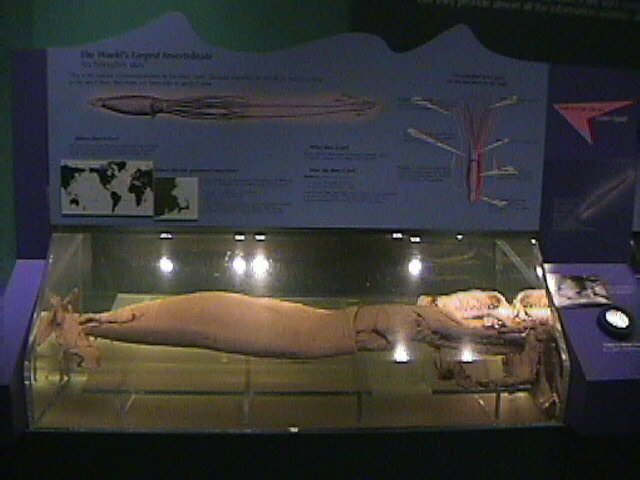 Below: a giant squid in the Smithsonian Museum in Washington D.C., which washed ashore on Plum Island (some of which is in Newburyport, and also Newbury) in 1980. 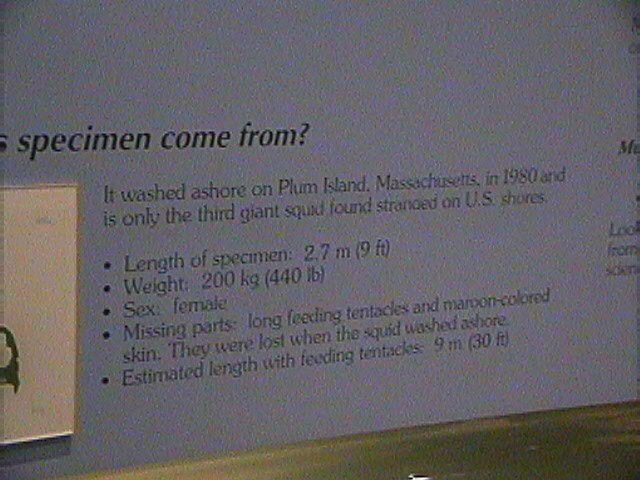 The significance of this relates to the giant squid being a type of beast from the sea, like the Antichrist in Revelation 13. 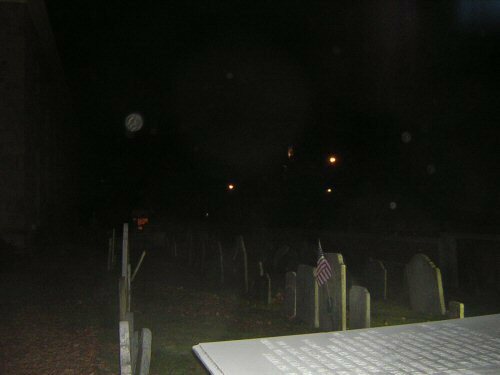 Next are some Nov. 2004 photos taken at night with flash on High Street in Newburyport, which have spherical orbs in them which could be ghosts or spirits (or may also be dust particles near the camera reflecting the flash light; its very hard to tell the difference).